If you follow my twitter you will know that i have been very excited about doing this blog post and i have been travelling all over the city of Brighton, collecting photographs and all the information that i have needed. And i'll tell you this... it has been so much fun!! The places i am going to be talking about are, in my mind, amazing and magical and even though they are just a few places of Brighton, they add so much to the city! Some of the places i visit often (One of them i visit so much, it's almost an addiction), and a couple i go to rarely but they have made such an impression on me, that i am a little in love. When i first came to Brighton, a little under 2 years ago, I was hit by a massive culture shock! I had come to a place that was extremely open minded, creative, indulgent, and just bonkers!! And did i love it? F*ck Yeah! Brighton was everything i wanted in a city. I have never grown tired of strolling around the lanes, getting blown over on the seafront, and almost getting hit by speeding cyclists. There is so much to explore and i am constantly discovering hidden gems of places to go to! Yet, the thing i love most about this city is the variety of people. Yes, Brighton is the number 1 gay city in England and thats brilliant, but it is also so much more than just that. The culture is so alive and the different types of people you meet is such a precious experience to have. So, do i think Brighton is the place to be? YES. Am i biased? Of course! 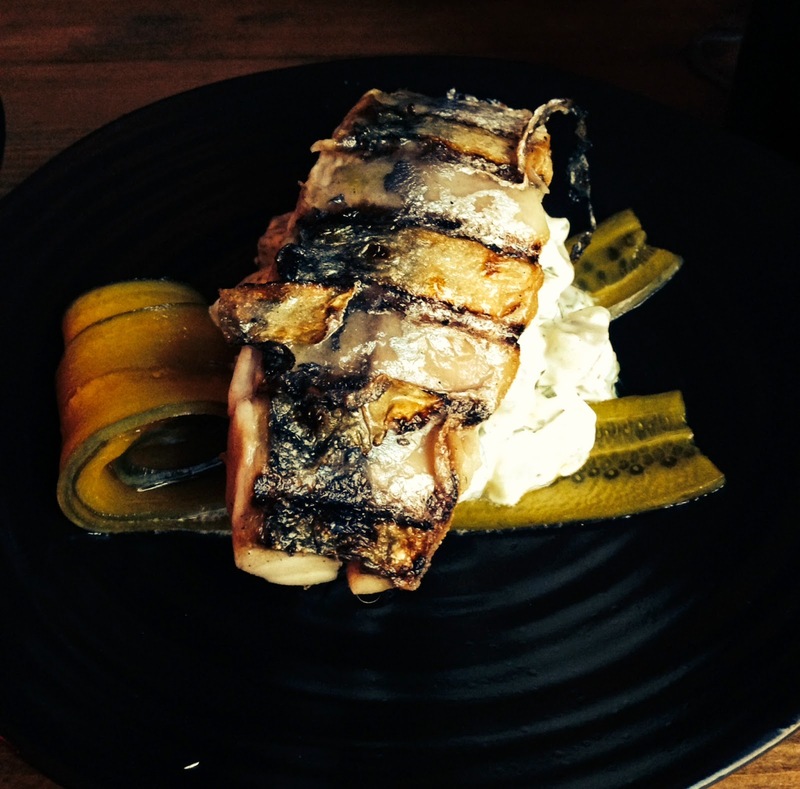 The points i am covering are only a few of what i love about Brighton and why. 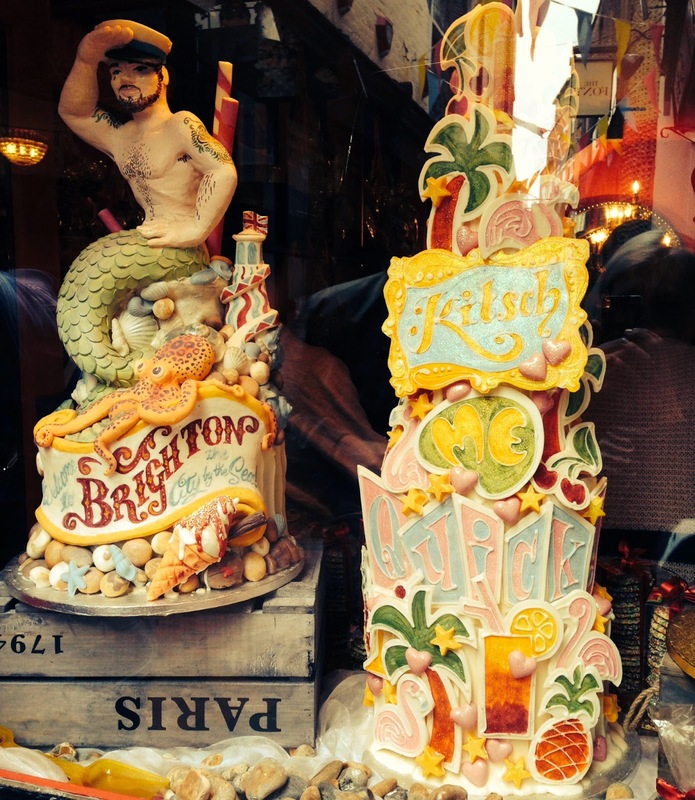 The only way to really see what Brighton is like is to come here yourself and experience the magic! So, you got me. I hold my hands up in the air that this whole post is me trying to bribe you into coming Brighton. I feel like i should add some glitter and feathers to this post now. The places i have picked are no way in order of my preference for them. It would be incredibly hard for me to whittle them down to an order and i am not willing to go through the tears and tantrums of trying to decide. So, whether you have already been to Brighton and have experienced some of the fab and fun places i am about to preach about, or if you are simply visiting and in need of a few ideas on where to go... then keep reading my lovelies because i have some absolute beauts to tell you about! 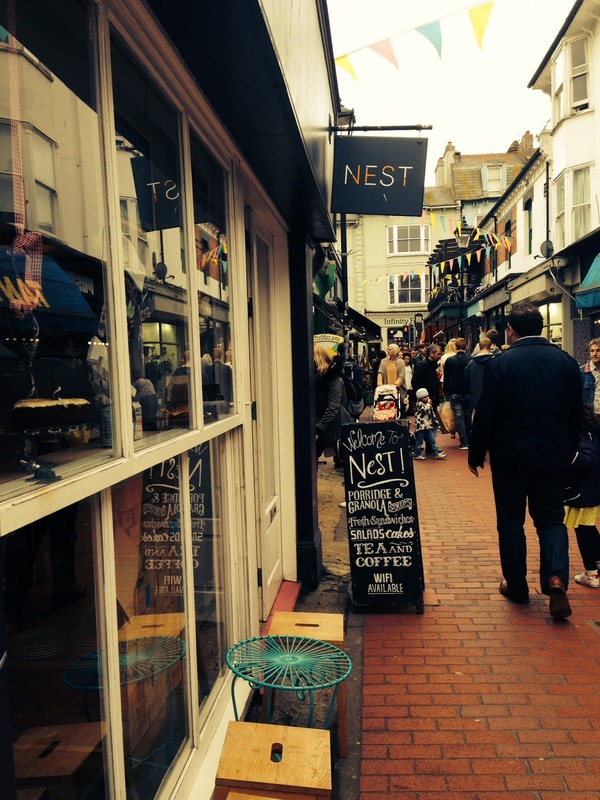 Nest is a small boat of a cafe in a huge sea of competition when it comes to cafe's and coffee houses in Brighton. And for me, Nest stands out the most! Snuggled nicely along Kensington Gardens in the North Laines, this cafe offers all and more that you would expect from a decent cafe. The staff are lovely and welcoming and add a personal touch when preparing your drink. I am going to leave the subject of coffee till last as that of course is the main reason i go there, but coffee is not just what Nest offers. Their range of tea can suit any mood. Whether you are someone who enjoys the spice of Earl grey, to a cleansing green tea, and a whole range of fruity teas. They also offer a great choice of savoury food if you fancy stopping for lunch. When i usually go in, my main goal is coffee and something for my sweet tooth. However, when your eyes fall upon the fresh salads and the preciously put together panini's, it is very hard to resist. For someone with a sweet tooth, like i said, whenever i go in, i can in no way resist the display of cakes, pies, brownies, muffins, etc. They are always scrumptious!! And of course, go down very well with one of Nest's coffees. Now i am a creature of habit. I try hard to try different things off of a menu, but when i find a favourite... well, obviously i will usually stick to it. My usual from nest is their cappuccino, and it has to be the best i have ever had. I love strong flavours. Coffee, cheese, chocolate, i like them rich! And the coffee from Nest is just that. You get what you want from Nest, and that is simply a high quality, rich in flavour, strong coffee and an all round lovely cafe experience. 2. 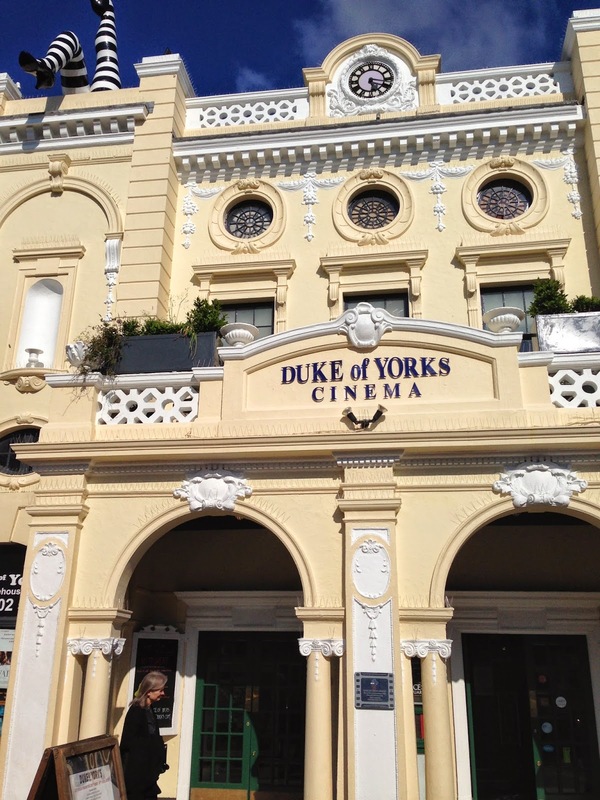 DUKE OF YORK PICTURE HOUSE. Along the main road of Preston Circus, proudly sits the Duke of York Picture House. Lets face it, it's not that hard to miss. With it's stunning appearance on the outside, it doesn't let you down when you walk through the green doors. It is pretty standard when you go to the cinema to get a coke and popcorn, which the Duke of York offers, but it also gives you choices that any indulgent person would find hard to resist. Amongst the popcorn and sweets, sits beautifully made cakes and a choice of wine and other alcohol such as beer and cider. Who wouldn't want to sit down to a film with a fat slice of cake and a glass of wine?! Dreams are made here people. There is one thing that the Duke of York can promise, and thats that you do not have a wonder through what feels like endless corridors to find screen number 12. This cinema has only one screen, and that is simply because it used to be an old picture house and it is easy to tell they try to keep true to what the Duke of York was first built to be. The choice of seats is endless, with even the option of going upstairs onto the balcony and sprawling yourself across a comfy sofa. The films they show are old and new. Whether your going to see an old classic that you love, or a recently released french film. I recently went to the Duke of York to go see the new Wes Anderson film 'The Grand Budapest Hotel' and the Duke of York had stalls set up of the perfume that you see in the movie. It was great! So, whether you are going there with the person you love, your friends, or simply by yourself, I can grantee you will have a lovely evening! Ever been to paradise? No? Well i have, and there was a lot more vintage crockery than i expected. Snoopers Paradise is also snuggled along Kensington Gardens in the North Laines. But do not be fooled by it's small entrance, as it is the biggest shop along the laine. In fact, it is the biggest antique and vintage shop i have ever been in. 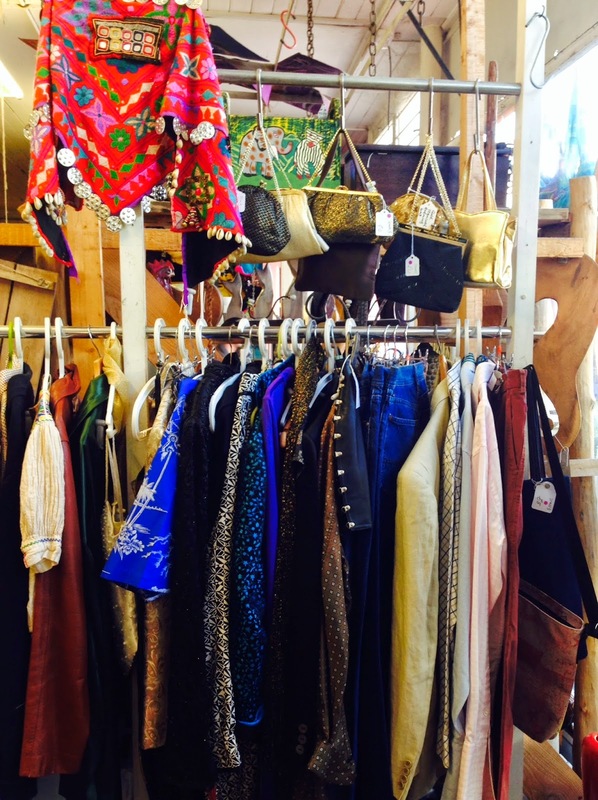 Which is great, as it offers lots and lots of nick knacks that, if like me, you will be walking out with bags full. 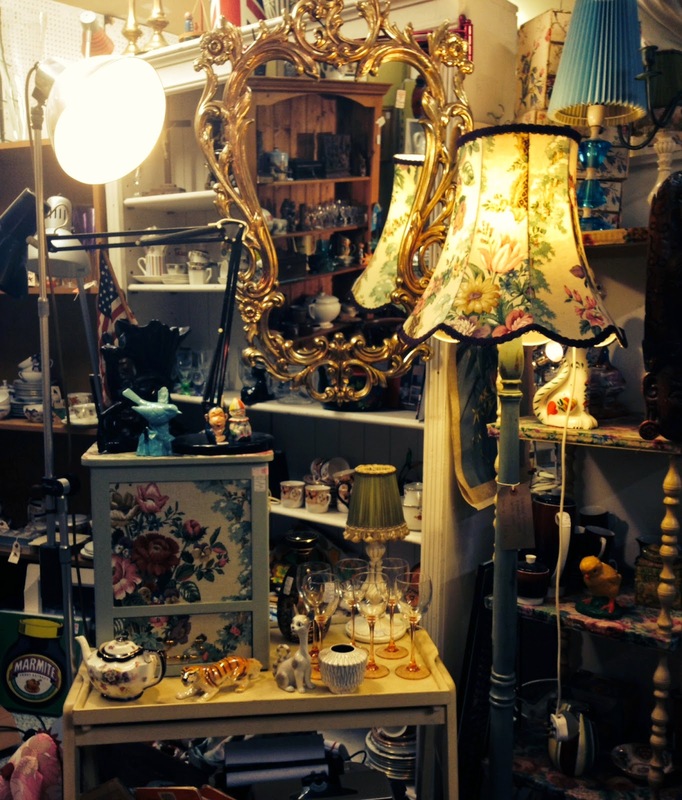 From old vintage clothes, retro furniture, colourful crockery, old photographs, beloved vinyl records, to even an old photo booth snuggled amongst all the wonderful things you get in Snoopers Paradise. I dragged my boyfriend into the old photo booth today, and now i have a lovely little momentum! Believe me, you can be in Snoopers Paradise for hours and hours, just looking through all the things they have and being full of wonder at things you find. 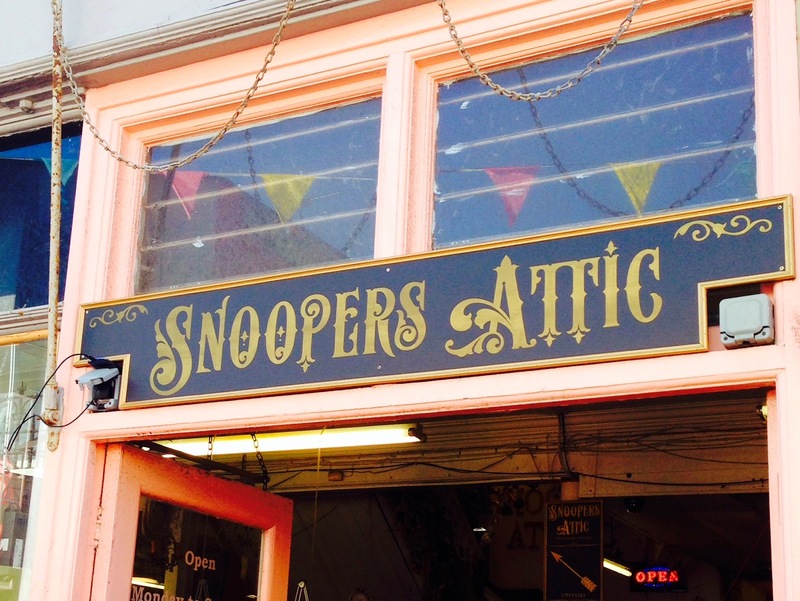 So if you are into antique and vintage shops, then Snoopers Paradise is the place to go! The wine they had on offer was a huge variety that would suit any mood and meal. They also have a large choice of cocktails which are truly yummy! Is Plateau a bit pricey? Yes. Do you get your monies worth? 100%. 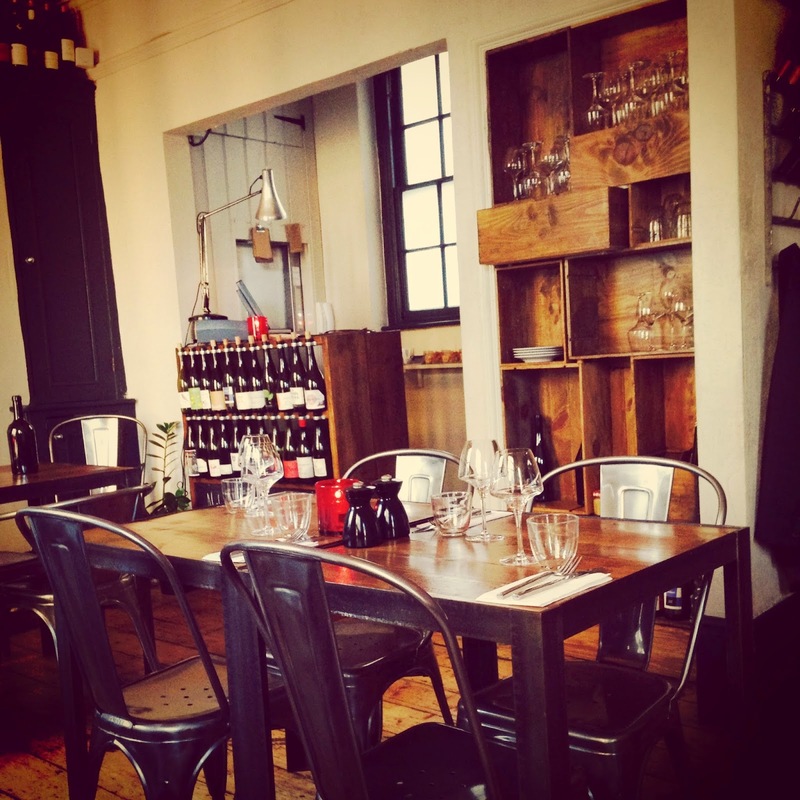 I had such a lovely night last night, and i cannot rave about this place enough! Just go. You'll love it. 5. CHOCCY WHOCCY DOO DAH. You may have already heard of Choccy Woochy Doo Dah, as they have their own reality television show for christ sake! 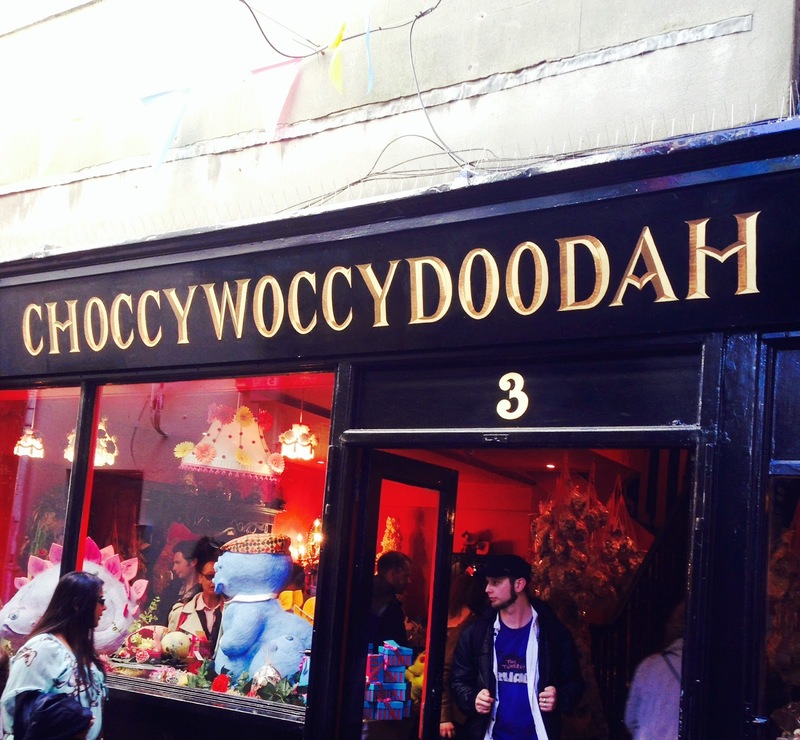 With two shops, the original being in Brighton on Meeting House Lane and a recently opened one in London, Choccy Whoochy Doo Dah is one for the tourists, and of course chocolate lovers of the world! 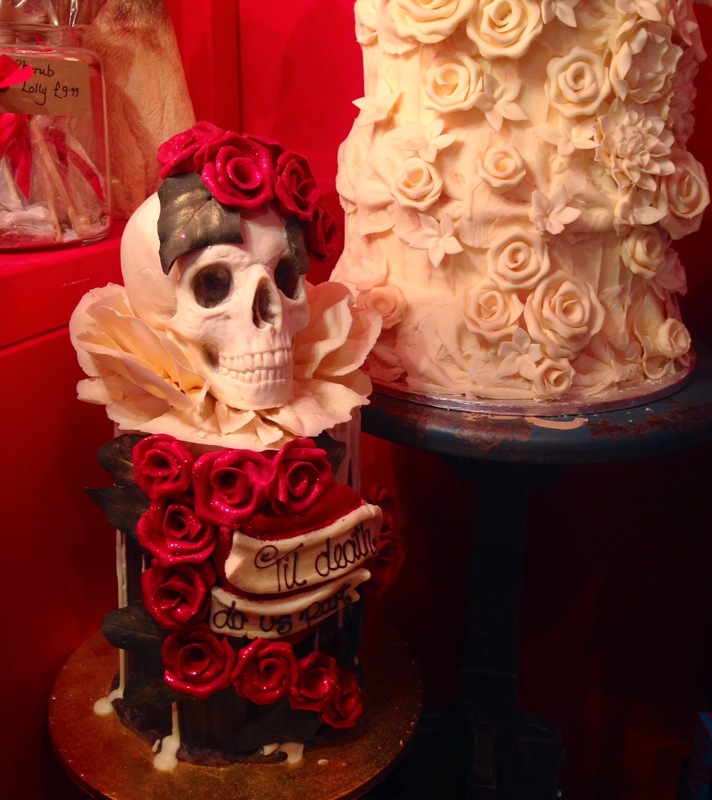 They specialise in cakes, i was watching their show once and they made Boy George's birthday cake! (Not a fan of Culture Club? ok. your missing out, but your choice. If you are though, i love you already!) 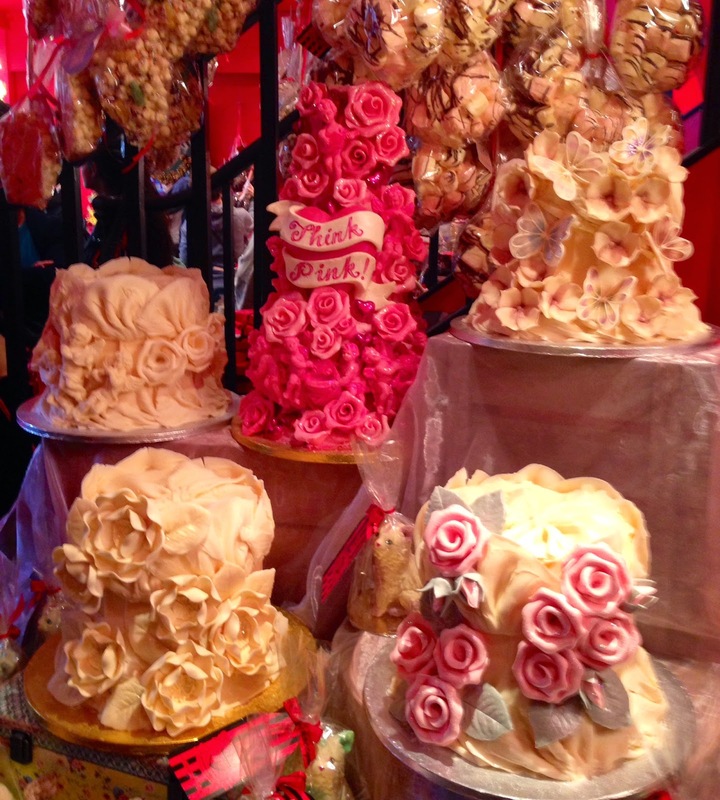 and they offer a range of absolutely bonker chocolate creations. No matter what age you are, as soon as you walk in you will automatically feel 8 years old again. The quality of the chocolate is beautiful (dare i say just as good as, or even better than Cadbury?...Yes i do!) Currently they have a dinosaur theme going on, (as you can see by the photo above) and they are constantly mixing it up, which obviously keeps you going back for more just to get a glimpse at what they have created next! 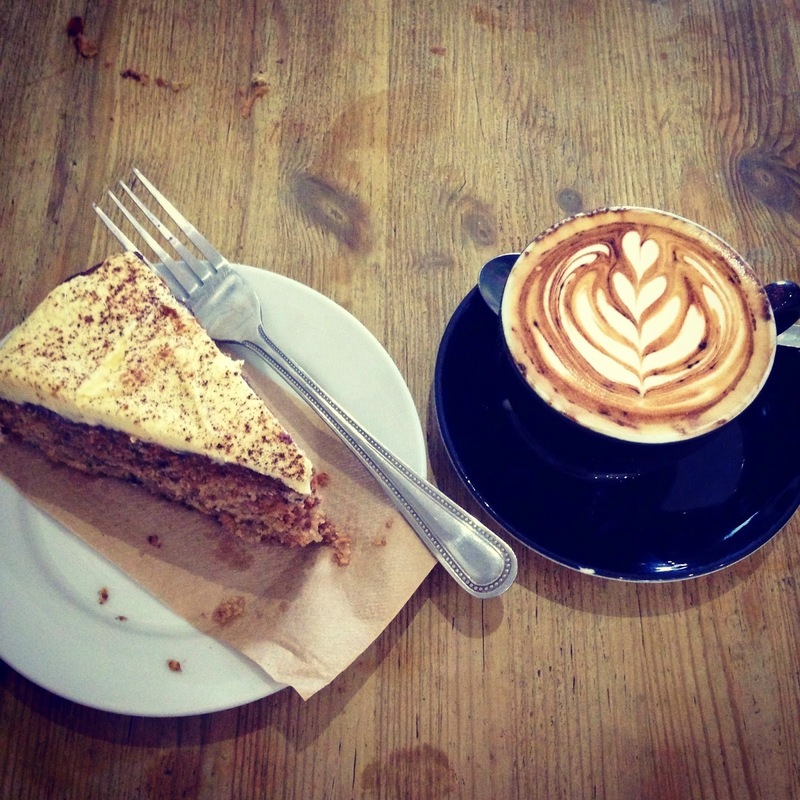 And that is my top 5 places to go to in Brighton! I really do hope you enjoyed this post and it has opened your eyes to some of the magical places that Brighton has to offer. 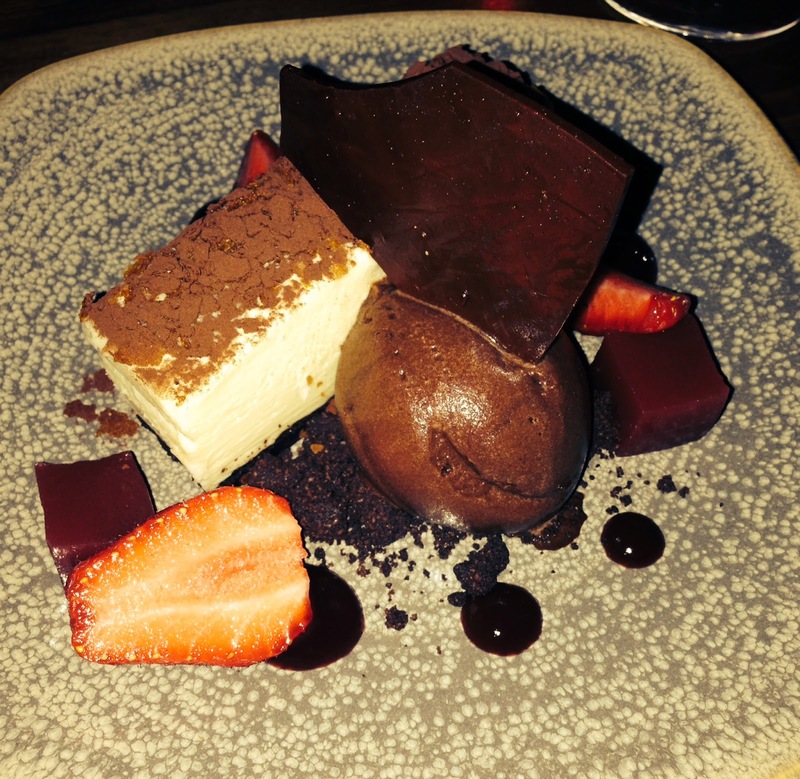 I have really loved making this post as it gave me an excuse to go to all my favourite places (I go to some of them all the time, so this week they must have thought i was stalking them! Can you stalk places....? I don't know.) If you do happen to read this post and it inspires you to go to one of these places, please tweet me at @lexihardy04 and let me know as it would 100% make my day/week/year! 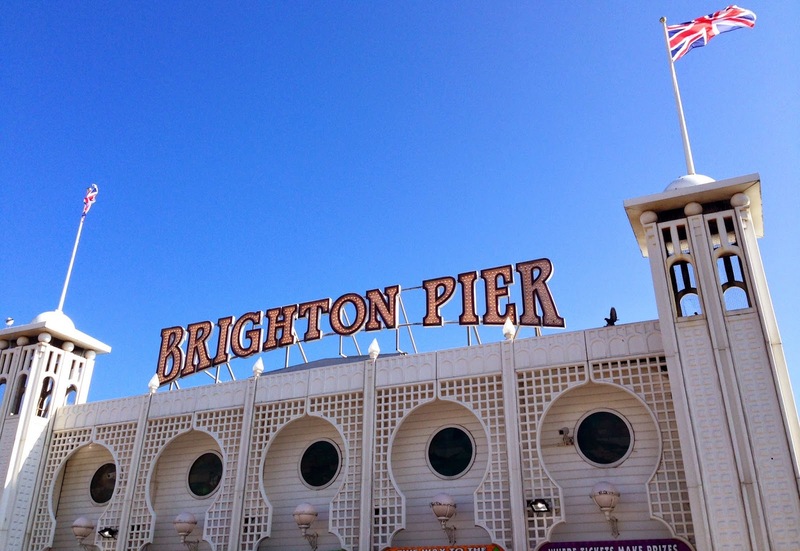 So, this has been my love letter to Brighton and i will be back again soon with another post.